Welcome, Provisional Class of 2015–16! On August 7 and 8, the 2015–16 provisional class gathered for the annual Provisional Retreat. 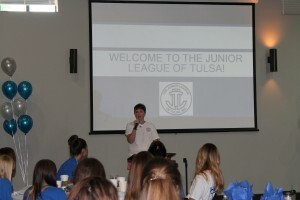 This year, we welcome 74 provisional members to the Junior League of Tulsa (JLT). On Saturday, the provisional class reconvened at JLT Headquarters. Their day included a bus tour to the sites of The Pencil Box and Harvest Market—two JLT community projects. For this year’s provisional project, the ladies will work directly with the nonprofit The Pencil Box—a free store for kindergarten through 12th-grade teachers to receive school supplies for their classrooms. The Pencil Box is available for lead teachers from Tulsa Public Schools, where nine out of 10 students are eligible for and participate in free and reduced lunch programs. JLT provisionals will volunteer their time at the store processing donated items, stocking the shopping shelves, and serving on shopping nights. In addition to the bus tour, the ladies also learned more about JLT and enjoyed a scavenger hunt around Headquarters to become better acquainted with the facilities. After the retreat, we had a chance to chat with a few of the provisional members to learn a bit about them. Here’s what they had to say. JLT: Where are you from? Elizabeth: San Antonio, Texas … Go, Spurs, Go! Elizabeth: I’m a closing officer for a property tax lending company. JLT: What are you looking forward to the most in Junior League? Elizabeth: Having a sense of “belonging” again and being able to volunteer my time to something. I love being a part of things that mean something to myself as well as others, and I think this is just the place for that. JLT: Do you have any suggestions for additional ways we can accomplish our mission to end the cycle of poverty in Tulsa? Elizabeth: I think we’re on the way to doing it. … Things aren’t done simply by talking about them. They’re completed by getting out there and actually doing something about it. It’s about bringing awareness to overlooked communities and issues and being that helping hand they need to get out of their situation. JLT: What do you like to do in your spare time? Elizabeth: Pure Barre, anything outside, taking my fur children to the dog park, traveling, shopping, reading, crafting. Lauren: Tulsa! I love it here! Lauren: I know several great women involved in JLT. I attended the Spring Gala in February of 2015 and adored the event. Not only did I have a blast, but I wanted to know more about what the fundraiser went towards. I love special events and staying busy, and it’s a bonus that everything is for a great cause. Lauren: I am looking forward to getting more heavily involved in my committee. Being involved in a specific committee helps me feel like I am truly contributing and making a difference. I love that there are so many options that JLT offers to get involved with. Anyone can find their passion within one of the committees, volunteer activities, or events. Lauren: I am an event planner, and I love it. I think there are so many opportunities for JLT to fundraise through events. Not only can this help fund our organization, but it can help fund the organizations we are focusing on for that time. I’m excited to voice my ideas and see what will happen. Lauren: I love being outdoors and playing with my dog, Ruger. He’s a lab-German Shepherd mix and the sweetest baby! We love going to the park, playing soccer, and running the trails. I also enjoy traveling and being a tourist, so that I can experience all the cool things from the Food Network and Travel Channel. I have a very close group of friends that meet at the lake several times every summer for fishing, cooking out, happy hours, boat rides, and all things fun! JLT: What other volunteer work do you do? Lauren: I am actually involved in a variety of things. At work, we would not be able to function without our volunteers. I try to volunteer with organizations as much as possible to help them function because I believe volunteers make that big of a difference. I am involved with Tulsa Young Professionals (TYPros), the American Heart Association, Light the Night Walk, Tulsa Area United Way, Susan G. Komen Race for the Cure, Hope Works with CTCA, and the Tulsa Christmas Parade. 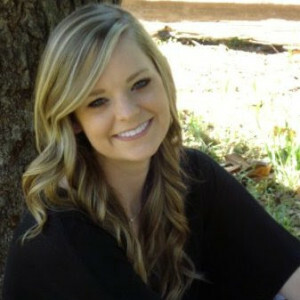 Allison: To help make a difference in Tulsa and to build quality relationships. 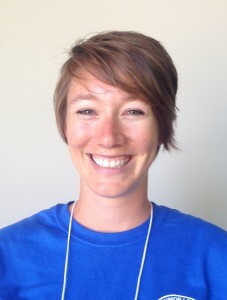 Allison: Getting involved in new projects and meeting new people. Allison: Read, spend time with my family, cook, crafts and home projects, and watch TV. Allison: I volunteer through my church, HillSpring, by being a part of their Dream Team, participating in their backpack program, and Serve team for community projects in Sand Springs. I also volunteer through my company, ONE Gas, which has different projects throughout the year including the United Way, Habitat for Humanity, SPCA, among others. Rachel: I’m from Edmond, Oklahoma, but I moved here from Duncan, Oklahoma. Rachel: I’m a nurse with Blue Cross Blue Shield. Rachel: I’d heard it’s a good way to learn about the community, to learn the community’s needs, and to meet people. So I thought I’d give it a try! Rachel: I’m excited for the social aspect. It’s a lot more fun when you can do something good for people at the same time. Rachel: I have a passion for athletics and sports, and running could be something we could look into incorporating. It’s so empowering and is good therapy. When you find something you can control, you feel so empowered. I think that’s something that could help a lot of women. Rachel: I enjoy running on Turkey Mountain with my Vizsla, August.